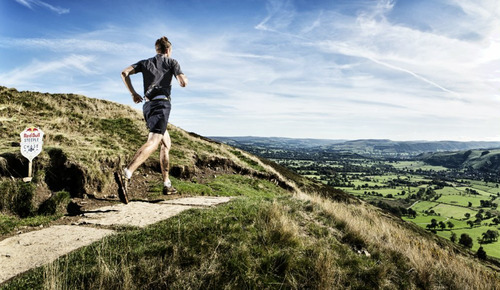 Held in the Peak District this was a fell race with a fun knockout format where the slowest section of the field was eliminated at set points throughout. The 21 mile course (with over 1,400 meters of climb!) was divided into 4 stages with only 40 runners being able to reach the final steeple. This unique format meant that race positioning was more important than your exact time – making for interesting tactics considering the length of the race and height gain. Thankfully I was ahead of the cut-offs by enough time which allowed me to focus on my own race rather than everyone else’s, but I can imagine the stress of racing to the next steeple to finish ahead of your competitors to be quite a challenge in itself! I had the pleasure of travelling up with friends, some of which I ran with for this first half of the race. Having this “support” stopped me from going of too quickly – definitely a good thing looking back! My group started well holding within the top 15 positions for the first 2 stages which covered a distance of about 12 miles. I wasn’t the fastest guy down the hills (or up them) but keeping an average and steady pace paid off leaving my legs feeling relatively fresh for the final half of the race. From mile 12 I managed to catch roughly 5 competitors claiming second on the podium to an immensely talented runner with incredible marathon times. This was definitely one of the most enjoyable races I have taken part in this year despite my worries in the days leading up to the race that this was going to be the most challenging / worst race experience of my life. 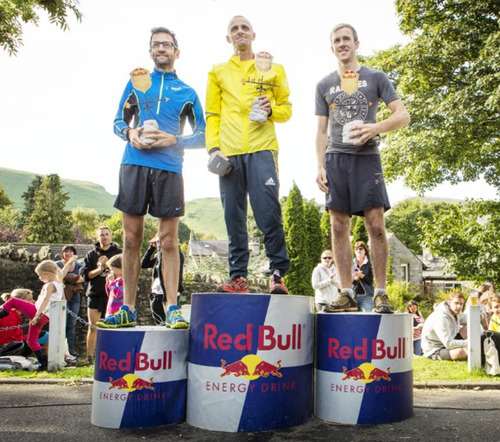 The combination of running with friends, being in the English “mountains” and the beautiful weather (not to mention the post race BBQ and free bar) made this event one to remember and return to in 2014. Ross McDonald and I were being matched up for this race (video to follow soon featuring the two of us), but having competed in a half Ironman distance tri the weekend before he was at a major disadvantage. Check out his race recap here. We next meet at the Spartan Beast and Men’s Health Survival of the Fittest (both obstacle course races in early November) which are shaping up to become an epic battle in the world of OCR!